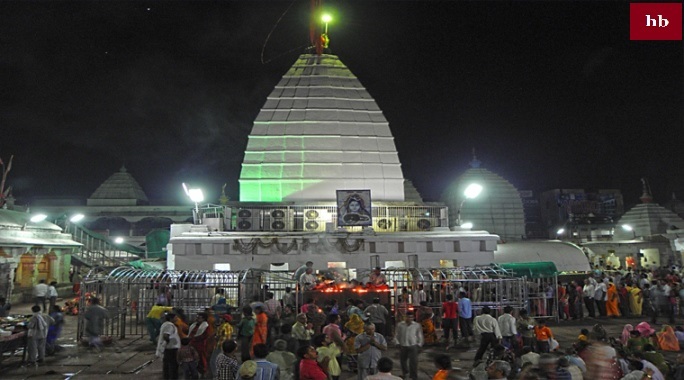 One of the twelve Jyotirlingas, Vaidyanath Shivling is situated in Deoghar of Jharkhand. People also know this place as Baba Baijnath Dham. It is said that Bholainnath fulfills all the wishes of coming here. Hence this Shivling is also called "Kamna Ling". 12 Jyotirlingas are said to have been established where wherever Mahadev witness appeared. Similarly, there are also stories of Vaidyanath Jyotirling in Puranas which is related to Lankapati Ravana. The story of Lord Shiva's devotee Ravan and Baba Baijnath is very different. According to legend, Dashanan Ravana was practicing meditation on the Himalayas to please Lord Shankar. He was cutting his head on one side by shifting his head to Shiva-linga. After 9 raising the head, when Ravana was 10th to cut his head, Bholenath pleased to see him and asked him to ask him a favor. Then Ravana asked for a take 'Kamna Ling' to Lanka. Apart from Sri Lanka, there was the power to rule between the three people, besides Ravana, he was also kept in Lanka by imposing many gods, Yaks, and Gandharva. For this reason, Ravana expressed his desire that he should leave Lord Shiva Kailash in Lanka. Mahadev did his best but also kept a condition. He said that if you kept Shivling on the road, then I will remain there and I will not rise. Ravan accepted the condition. All deities were worried after listening to Lord Shiva's death. To solve this problem, all Lord Vishnu went to. Then Hari made Leela. Lord Vishnu asked Varun Dev to enter Rama's stomach through Achaaman. So when Ravana walked towards Sri Lankan with Shivling and walked towards Devghar, Devghar had a small problem. In such a way, Ravana went to a small village to give a gift to Shiva. It is said that Lord Vishnu was the name of Baiju named as Gawale. 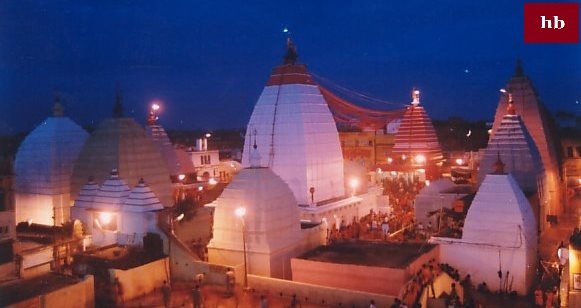 From this point of view, this pilgrimage place is famous for both names like Baijnath Dham and Ravaneshwar Dham. According to legendary texts, Ravan kept ablaze for several hours, which is still in Devghar as a pond. Biju here laid the foundation of Shivling on the earth. When Ravana returned and came after lakhs of effort, Shivling did not get up. Then he too understood this Leela of God and he went on wearing his thumb on the angry Lord Shiva. After that god of Brahma, Vishnu etc. worshiped that Shivalinga. As soon as Shiva's philosophy came, all the Goddesses of Goddess founded Shivalik in the same place and went back to Paradise by praising Shiva. 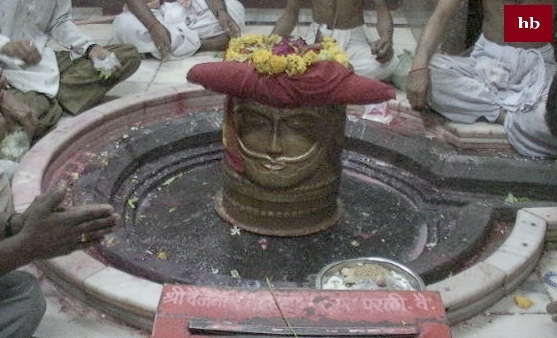 From then on, Mahadev sits in Devghar as "Kamna Linga". Babadham temple stands near the G.T. Road connecting to Calcutta with New Delhi. From the G.T. Road, you can take a turn to the state road at Bagodar or at Dumri. 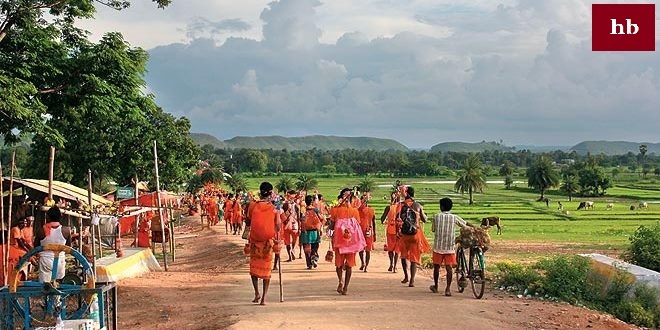 Devotees coming down from Kolkata or other parts of West Bengal can take the route via Jamtara. Passenger buses run regularly from Ranchi, Jamshedpur, Hazaribag, Bhagalpur, Dumka, Patna, Gaya, Munger, and other places in Jharkhand and Bihar to Deogarh. Taxis and Rickshaws are available at Babadham and at Jasidih railway station. Nearby Airports are - Ranchi, Gaya, Patna and Kolkata.